Credit card: all the main credit cards are accepted for free by the Stripe system. Pay-Pal and all the main credit cards with a contribution = 1.5%. At the end of the purchase you will be directed to Paypal to make payment. Bank transfer. At the end of your purchase you will receive the bank data. The bank transfer must be make within 3 days from the purchase. The shipments are now possible for all Europe, Switzerland, United States of America, Canada and India. If you want other foreign shipments Please make a request via the contact form. The goods will be shipped after the effective receipt of payment. The goods are shipped under the responsibility of the purchaser. Shipments will be able to have tracking code and then they will tracked via internet. If you chose the cheap shipping there is no tracking code. Shipping charges vary based on total weight of the goods and delivery area, this amount will be displayed automatically when the summary order before confirming. This will allow you to change the order and transport up to find the best bargain. The goods travel for the contractor. Upon shipment you will be provided, via e-mail, the identification code of the package for its traceability if there is it. The respect of times and standards of delivery are those of the Rules of the courier. For all that concerns the transportation liability is attributable only to the Courier. Therefore, when collecting, please check the integrity of the package. 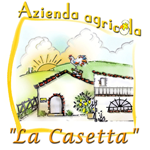 Double check the appropriate seals under the brand name of La Casetta. Seals are incorporated in the transparent tape closure. If you find them compromised you MUST describe the tampering on the carrier bill making the same countersigned by the courier. Also accepted the package with only the words "With Reserve". The delivery of the package to the courier will be carried out by La Casetta within 2 to 3 business days after actual receipt of payment.